If you or your child suffer from asthma, you will know how important it is to take reliable and accurate oxygen level readings. 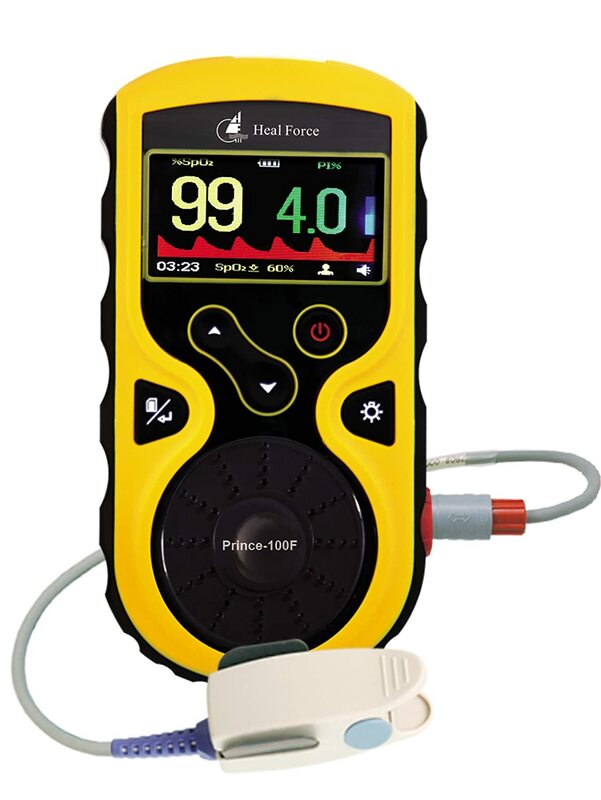 This week i want to introduce you to the Heal Force Prince 100I Fingertip Pulse Oximeter. One of the reasons we love it so much is that it will give you peace of mind without the need to visit your doctor. We know there are cheaper models available, however for us, the most important thing to note when searching for Oximeters is Accuracy and Reliability! This is why if someone asks me at my pharmacy or at HealthCare4All for my opinion, these are the BEST finger pulse oximeter to buy. Pulse oximeters help you monitor the amount of oxygen carried around your body. Its completely painless and all you have to do is attach it to a fingertip for a few moments to get a reading. An oxygen level of greater than 95% is generally considered to be a normal oxygen level and a level of 92% or less suggests low blood oxygen. In addition to oxygen level it also tells you your pulse rate. For adults a normal pulse rate is 60-80 beats per minute, however your heart rate would be expected to increase with exercise and and oxygen saturation may slightly decrease (it should still remain at 90% or greater though). I wanted to find one that is easy to use at home for at-home patient monitoring. For people with COPD, pulse oximetry is useful as a tool for patients to use at home to assist with their management under physician guidance. Monitoring your oxygen saturation level will help you to adjust your oxygen flow at home, during exercise, and during social activities. It can also assist your doctor in deciding if your COPD is getting worse. For People with COPD, asthma and other lung diseases who want to be active, the quality of the oximeter they use is important. Accurate readings are very important – particularly when patients are active and their oxygen level may be dropping to provide accurate readings especially when you are active. There are 2 Pulse oximeters I recommend. The first one is Heal Force Prince 100F High-Resolution Handheld Pulse Oximeter. This is an amazing Pulse Oximeter but is on the pricey side at £189.00 (inc VAT), however if you want accuracy and dependability this is the one i would recommend. The Prince 100F handheld pulse oximeter is a portable device for monitoring SpO2, pulse rate and pulse strength. 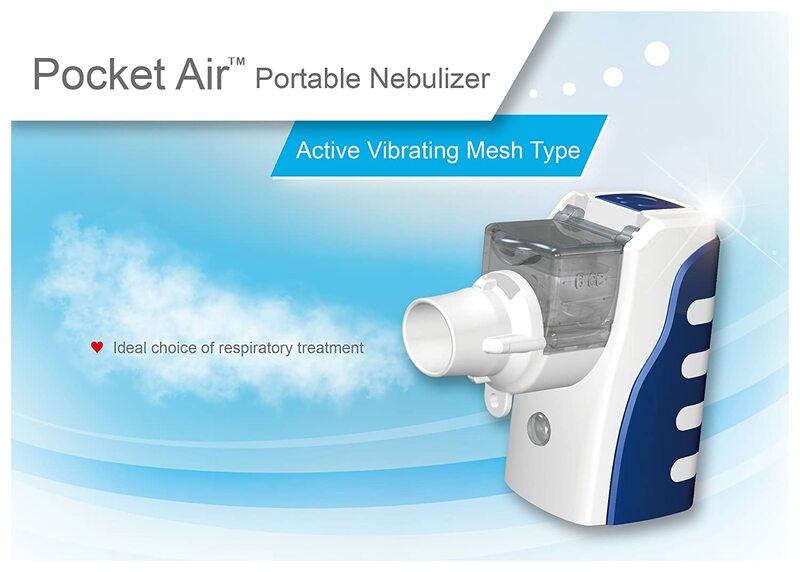 It is robust, fast and reliable, so the device is suitable for use both at home and in a hospital environment. The reason we love the Heal force prince is because not only does it work straight out of the box, it can be used for both adults and children! There are cheaper models on the market, however, with Oximeters it is imperative the readings are accurate otherwise the product is pointless. The Heal Force Princes readings are Very accurate and reliable and will give you peace of mind! In order to use it for children or infants you simply attach a probe and then it will work for all ages! Allow me to introduce you to the Heal Force Prince 100I Fingertip Pulse Oximeter + Probe Port. Its very similar to the 100f however is £119.99 (inc VAT), so thats £70 CHEAPER and a fantastic bit of kit. HealthCare4All are not the only ones that love it. Its fans include GP Surgeries and health clinics too as its so versitile, and its readings are accurate and reliable. All you need to do to use it is put your finger in it! It automatically switches on. The Heal Force Prince 100I Fingertip Pulse Oximeter + Probe Port is in a class of its own. I was initially taken aback by the above average cost of this device. I have used several other much cheaper brands over the last several years with mostly disappointing results (inconsistent results, early breakdowns etc.). However having used this device most days for a few months I can testify to its reliability, excellent build quality and consistently accurate results. On every occasion it has held up.. Excellent product, we bought this to monitor our two year olds oxygen levels as he suffers with asthma and we were having to continually rush him to the doctors to be checked. At first we tried a cheaper monitor which was not accurate and hard to obtain a reading. We ordered this one and it has given an accurate reading every time (without either of the children’s probes being needed). Well worth the money. Would highly recommend. Fantastic product which will give us peace of mind. The Prince 100I fingertip pulse oximeter is suitable for adult use using the integrated finger clip probe and infant or paediatric use via a wired probe (3 versions: infant bandage-style probes, paediatric clip sensors, and paediatric fingerstall probes available as optional accessories from stock). The 100I oximeter is suitable for use in the home, medical institutions and care homes. Its is ridiculously easy to use due to the lack of operational buttons. Simply insert your finger into the oximeter and the unit powers on, takes a reading and then turns off 8 seconds after the finger is removed. It is Light, small in size and easy to carry in a pouch and lanyard hanging cord which is included. It has a Bright colour OLED screen which is very easy to see.